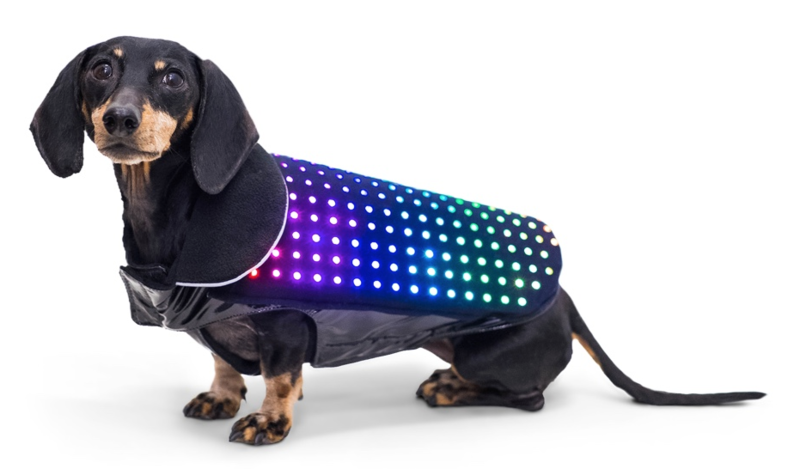 Disco Dog LED Dog Vest #WearableWednesday « Adafruit Industries – Makers, hackers, artists, designers and engineers! KEEP YOUR DOG SAFE AND HAVE FUN WITH VIBRANT COLORFUL LEDs! Disco Dog is the world’s first smartphone controlled LED dog vest. It’s a fun way to celebrate your dog and also keeps her visible and safe when it’s dark out. Animated patterns and bright colors highlight your pooch as she explores the world and you control everything from your smartphone.